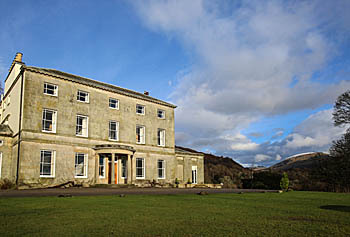 Brathay Hall is the residential training centre of Brathay Trust, the national charity that inspires young people to become successful, confident and responsible citizens. We offer accommodation suitable for all the family, ranging from Single, double and twin ensuites to dormitories for larger groups of over 30 people. Ambleside town centre is just over a mile away, with restaurants, pubs, shops and entertainment. 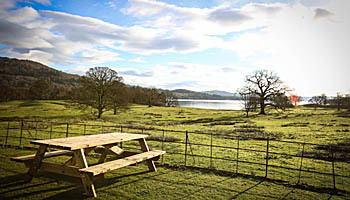 The Hall is set in its own grounds on the north shore of Windermere, with beautiful views of the lake. The site offers a variety of accommodation, with something to suit all pockets from single en-suite through to luxury lodges with King size beds, seating area and good sized bathrooms. Ambleside town centre with its excellent restaurants, pubs, shops and entertainment, is a little over a mile away. On the first floor in the main hall, we have 2 x 10 Bed dorms with adjacent shower rooms. We also have 4 bunk accommodation blocks, which hold between 11 and 32, these can be available on a Bed and Breakfast Basis or Self-Catering. along with cereal, toast, fruit and yoghurts. An ideal way to start the day. Please go to OUR WEBSITE for full details of all accommodation, terms, booking and availability.